Getting to work is a breeze for some and a hard slog for others. If you’re lucky enough to work from home, it may just be a matter of walking from one room to another. You may not even bother getting dressed or putting on makeup or shaving. Others who have to drive to work may be lucky to live close by or they have timed their departure and picked the best route to make it easier. Four locals, chosen at random, shared their driving experiences in the area. Man, it's hot. High temperatures in Manassas area cause NOAA to issue heat advisory on May 31, 2011. The National Oceanic Atmospheric Administration issued a heat advisory and the Prince William County Department of Fire and Rescue advises locals to watch out for heat stroke. Prince William Health System Foundation's 8th annual Spring Tea, on May 15, was held at Stonewall Golf Club in Gainesville, Va. The event brought mothers and daughters of all ages together. This mother and daughter even color-coordinated their outfits. Many area residents and businesspeople remembered loved ones they lost to breast cancer. The tea was a fundraiser for The Cancer Center at Lake Manassas. Many silent auction items were awarded to the highest bidders. Farmers markets are open now, and others are opening soon, to provide locals with homegrown tomatoes, berries, corn and other produce. Some markets even have local vendors who sell their crafts and wares. 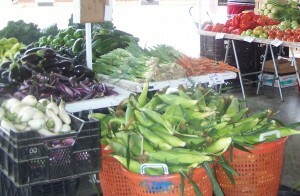 Read all the details about local farmers' markets in the May 13 Manassas Observer. And, check out the list of area markets and when they're open.